Counterweights made from tungsten are used in several industries, like aviation and aerospace, sports, automotive, watch and optical, mainly for creating a balance. It is a crucial component in racing car's engines, aircraft control surfaces, helicopter's rotor blades, fly wheels and turbines, self-winding clocks and watches and guidance platforms. These counterweights due to their high density, chipping and breakage resistance and low thermal expansion, are most reliable components that can perform at their best even in extreme conditions. 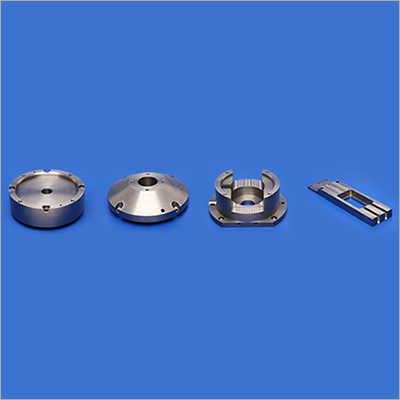 These tungsten counterweights are available in different sizes and shapes (cube, cylinder, ball, etc. ), density, hardness and any other specific requirements. We have advanced machines and utilize quality tested tungsten as a raw material in order to Supply quality tungsten counterweights. We are able to perform efficiently in house large scientific and technical calculations. Very longer functional life and easy to make use. Our employees are highly skilled in mechanical and structural engineering in order to manufacture quality product. We have more experienced designers and we always believe in technological advancements.